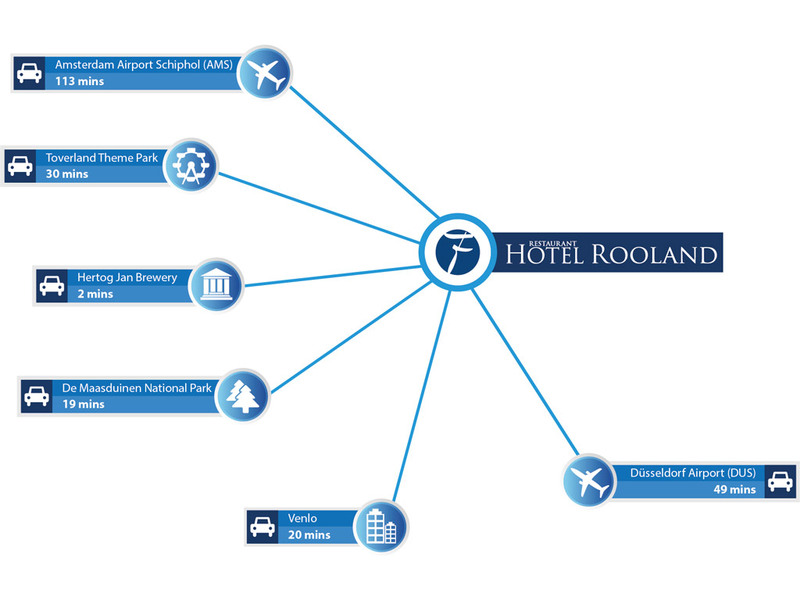 With nature reserves such as the Maasdal valley and De Maasduinen National Park just a stone's throw away, Hotel-Restaurant Rooland Arcen is an ideal starting point for beautiful hiking and cycling trips. 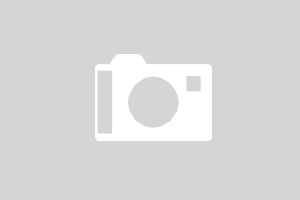 Near the hotel you will find the thermal baths of Thermalbad Arcen. These baths are a source of health, well-being and relaxation. You can easily reach these relaxing baths from the hotel. 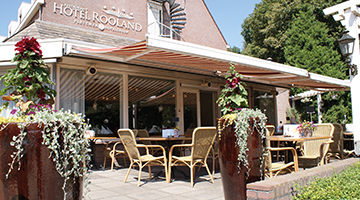 Hotel-Restaurant Rooland is located at the edge of the attractive village of Arcen in the beautiful natural landscape of Limburg. 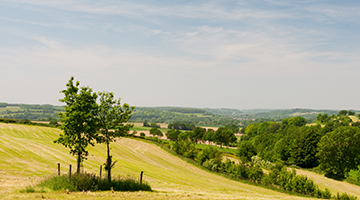 The surroundings are perfect for hiking and cycling trips that show you lovely spots in Limburg.